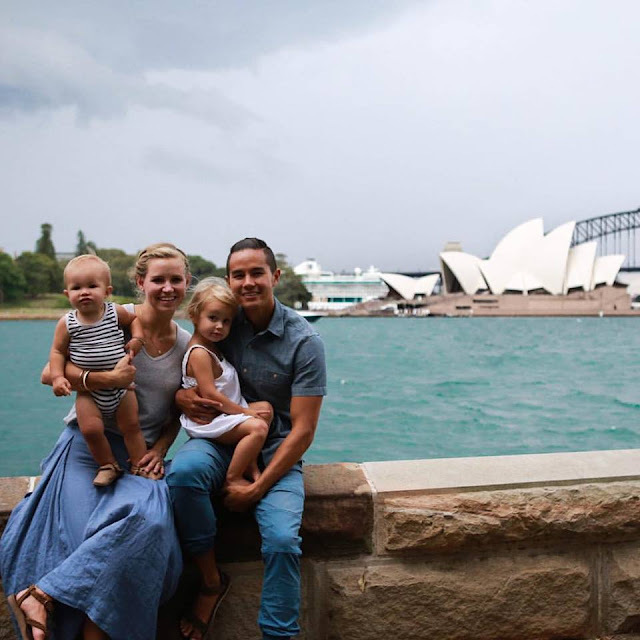 MANILA, Philippines - A 26-year-old Filipino-American millionaire decided to take his family to a one-of-a-kind world tour after taking home $54 million from selling his mobile app to Snapchat. Garret Gee, a father-of-two and a soccer player at Brigham Young University, is the man behind Scan, a mobile scanning app which allows users to scan bar codes, QR codes, and NFC tags automatically without the need to push a button. His invention became a global success generating $60,000 per month. “Scan started as a side project, and then, it turned out to be something pretty special,” Gee told Balitang America. In December 2015, he and his partners sold Scan to Snapchat and split the profits. After amassing the whooping amount of fortune, Gee decided travel the world with his family. They even created Bucket List Family, a YouTube show featuring their adventure around the world. However, Gee’s family decided to give their world tour an interesting twist. Instead of just taking photos and souvenirs from the locations, they opted to look for opportunities to help the less fortunate. “We’ll find some anonymous way to help another family in need or anonymously give back to others,” Gee explained. The family has explored Australia, Indonesia, Singapore, Thailand and Tonga. By 2016, Gee and his siblings are hoping to come to the Philippines. Interestingly, a report by The Daily Mail UK revealed that Gee and his family sold their possessions to fund their trip instead of using the money he received from Snapchat. “Part of the reason we're selling everything we own, even though we don't need to, is so we don't dip into our savings in any way. We're going to be totally self-sufficient,' he told The Daily Mail UK.